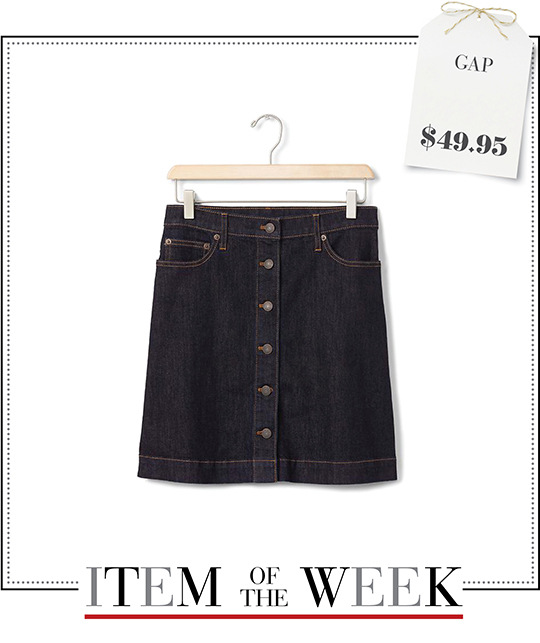 A button-front denim mini skirt from Gap. See how you can coordinate your wardrobe in 5 different ways with 1 item, under $100. Monday Casual: Step up your off-duty style by giving your look a cool sporty edge. Team up this week's dark wash denim skirt with a lightweight sweater and slip into a pair of white sneakers. Make sure to accessorize with a boyish charm. 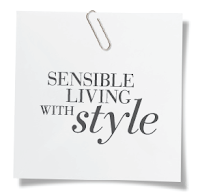 A chain bracelet, silver mirrored sunglasses, and a black origami bag are recommended. Tuesday Date Night: A relaxing date night calls for a comfy, completely coordinated outfit to match. Pair Gap's denim mini with a black ruffled top and slip into burgundy cut-out heels. Then, add threader earrings and a skull-embellished bag to elevate this look. Finally, spritz on some fruity fragrance and voilà, you're ready! Wednesday Hot: Keep your cool during these diabolically muggy days with these summer must-haves. 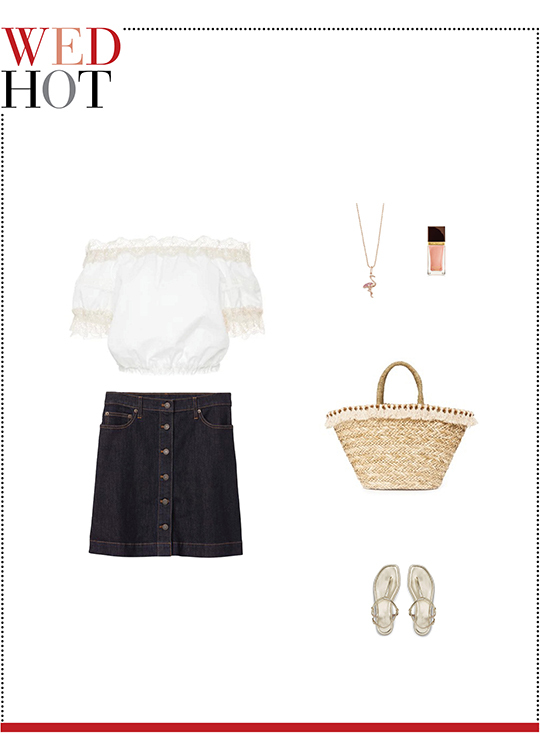 A white off-the-shoulder top, a flamingo pendant necklace, a tasseled straw tote, a pair of metallic T-strap sandals, shimmery pink nail polish, and this week's button-front mini skirt are your key styling points. 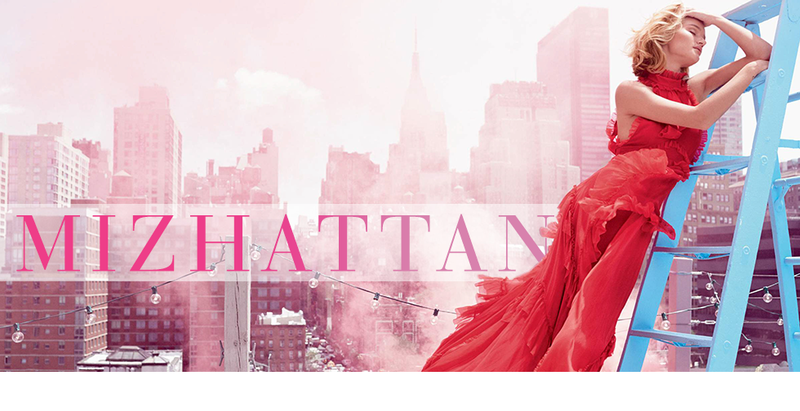 Thursday Dinner Plan: Ditch your dinner dress as this understated ensemble is chic enough for any evening gathering. This week's dark wash mini skirt styled with a bell-sleeved beige sweater and a pair of satin sandals looks modern and dinner-ready. Complete your attire with a mini suede saddle bag and Tuesday's threader earrings and fragrance. Friday Office-friendly: A big frill sleeve top is a fun silhouette to wear at work. 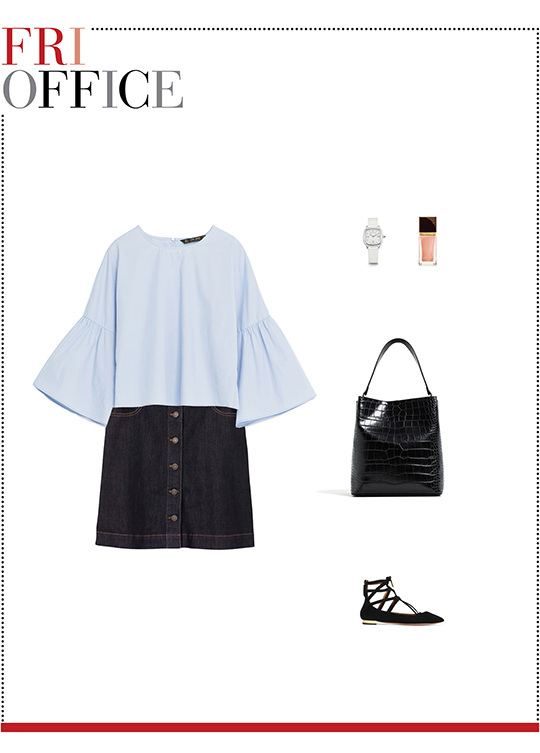 Give your office style a playful spin by matching a voluminous cotton top with this week's button-front denim skirt. For the ultimate outfit, accessorize with a white leather watch, an embossed bucket bag, pointy-toe flats, and Wednesday's pink nail polish.